With a growing and educated population and business-friendly environment, Arkansas ranks 16th in the nation for personal income growth and is among the Top 20 states to do business. Arkansas’s government is focused on eliminating bureaucratic barriers that often impede business growth. Additionally, Governor Asa Hutchinson signed several key economic development acts in 2017 which provided millions of dollars in grants and other support to small business and tech companies throughout the state. Securing an educated and tech-savvy workforce is a priority for Arkansas. The state is home to 24 four-year colleges and universities and 22 two-year public colleges, and close to 50 percent of Arkansas residents have an associate’s or bachelor’s degree or have attended some post-secondary education. Arkansas was also the first state in the nation to require classes in computer coding at all public high schools. Arkansas’s workforce is ready for the demands of 21st Century work environment. The state has developed several initiatives, such as the Arkansas Career Readiness Certificate and the Modern Workplace Program, to ensure a pipeline of educated and capable employees for the state’s technology and manufacturing sectors. Known as the Natural State, Arkansas boasts an abundance of natural resources, a mild climate, a low cost of living, and an average commute time of only 21 minutes, making Arkansas an attractive state to earn a living and raise a family. The 7,000 acres of Chaffee Crossing, situated in Fort Smith and Barling, was once part of an Army base. The master-planned community is built around 29 residential neighborhoods boasting recreational amenities including a golf course, Arkansas Game & Fish Nature Center, fishing lakes, soccer fields, miles of mountain biking trails and multi-use trails, and an adjacent waterpark. Coming soon is a $3.5 million, 6.5-mile multi-use trail project, which will connect the community’s trails to the city’s master trail plan. A comprehensive infrastructure site also surrounds Chaffee Crossing as it sits at the intersection of Interstates 40 and 49 and features Arkansas River ports, Class I rail lines, and a commercial regional airport just minutes away. Beginning in 2020, a $12 million relocation project of Highway 255 will begin, providing Chaffee Crossing with a new route for motorists. Port expansions and an Interstate 49 expansion are also currently being looked at, which will further improve the accessibility of Chaffee Crossing. The northeast periphery of Arkansas, Mississippi County draws its name – and its strength – from the epic waterway that runs its length. For 100 miles the Mighty Mississippi lends its banks to one of the largest counties in Arkansas, infusing this river-rich valley with vast acres of alluvial farmland. Historically rooted in “King Cotton,” today Mississippi County affirms itself as one of the most agriculturally prolific regions in the world, cultivating mass quantities of rice, corn and soybeans. In the manufacturing fields, steel reigns supreme. With more than 11,000 workers at local mills in Blytheville and Osceola (both county seats), Mississippi County dominates steel production on a national scale. Over the last decade, demand for jobs in this industry has grown by over 40 percent. It’s not slowing down anytime soon. 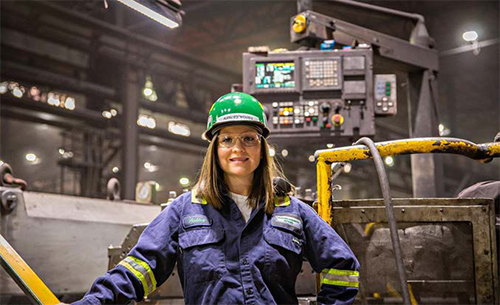 Major employers in the area include Big River Steel; NUCOR® Steel; Tenaris (line pipe and tubing); and NIBCO® (flow-control valves and fittings). In 2018 Ratner Steel Supply and Calstrip Steel Solutions opened new facilities in Blytheville, helping create 160 new jobs. Mississippi County is a great mix of small towns with big ideas. In a community-led campaign to keep manufacturing jobs on American – and Mississippi River – soil, County residents reached deep into their own pockets, establishing Arkansas’s first-ever Economic Development Tax in 2003. In another progressive motion, County administration established the Great River Economic Development Foundation (GREDF) to promote new industry and vocational opportunities. In the 16 years since its inception, the GREDF has generated almost 4,500 new jobs across the county. Recently Mississippi County became the first ACT® Work Ready Community in Arkansas through the successful collaboration of local businesses, workforce development services, and Arkansas Northeastern College (ANC). What’s next for Mississippi County? Tourism is also on the rise in Mississippi County. Hundreds of Native and colonial historical sites dot the vibrant landscape. In Blytheville a vintage 1930s-era Greyhound Bus Station is one of three remaining. And the tiny Dyess community, settled by Depression-era Arkansas sharecroppers, is best known as the childhood home of Johnny Cash. Tours of the house and museum are popular among music fans – just an hour from Beale Street, Graceland, and world-famous Memphis barbecue. For more information, visit misscoeda.com. 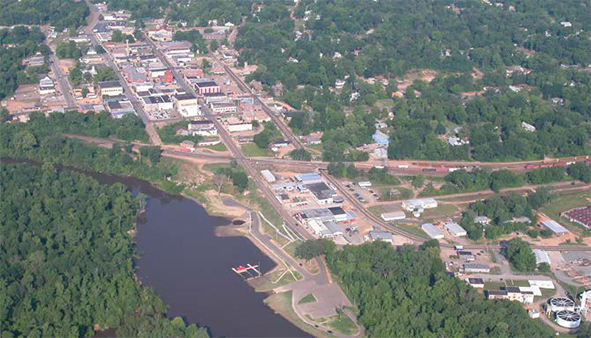 The 12,000 residents of Camden, Arkansas enjoy a slower pace of life typical of a small town. Located on the Ouachita River in south-central Arkansas, people in Camden enjoy hunting, fishing, and appreciating the natural resources of the area including nearby state parks. But Camden residents also make up a highly skilled, workforce that is trained, certified and seasoned by a long-time cluster of defense companies specializing in munitions, rockets, guided missiles, launchers, and other battle vehicles. The aerospace and defense sector is a significant and growing industry in the area. 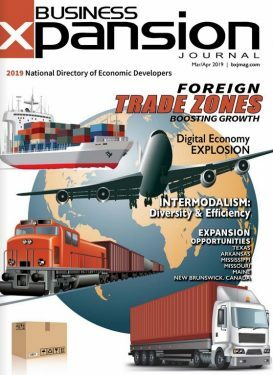 James Lee Silliman, Director of the Ouachita Partnership for Economic Development, estimates that the defense sector encompasses roughly 60% of the workforce and refers to it as a life line for the economy. 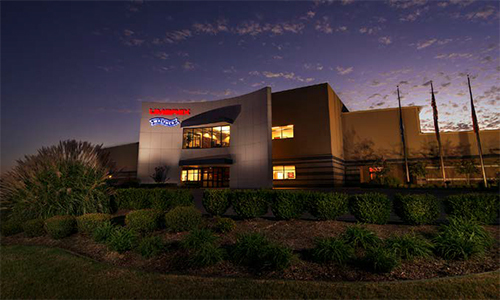 Several private companies from the defense sector have headquarters in the Ouachita area including Aerojet Rocketdyne and Lockheed Martin. These firms, along with Raytheon and General Dynamics, are making investments in facility and equipment and hiring of employees. Camden is also home to the South Arkansas Intermodal Park. Located on the site of the former International Paper Mill, the intermodal park is a regional transportation hub for South Arkansas providing freight transfers from truck to rail and vice versa. Raw materials for manufacturing can be brought into the facility by rail for warehousing or delivery by truck to area manufacturers. Finished products can be delivered by truck, warehoused, and shipped out by rail to various customers across the country or internationally. 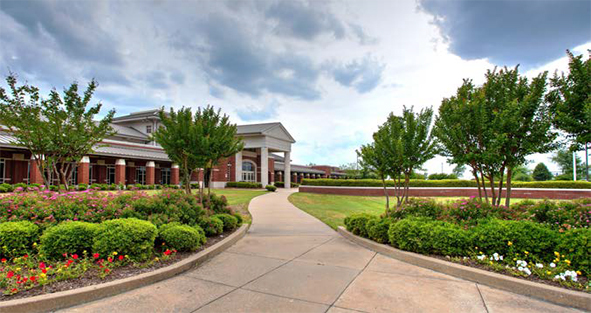 West Memphis, Arkansas has the best of both worlds – the feel of a small town with all the big city amenities. 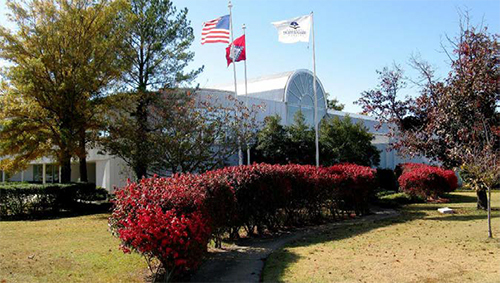 Located directly across the Mississippi river from Memphis, Tennessee, the town’s proximity to a large metropolitan area is an incredible asset to local businesses and industries. It has the unique combination of a providing both charming, close-knit community and the accessibility, amenities, and infrastructure of a global logistics hub. The manufacturing sector is also substantial in the area. 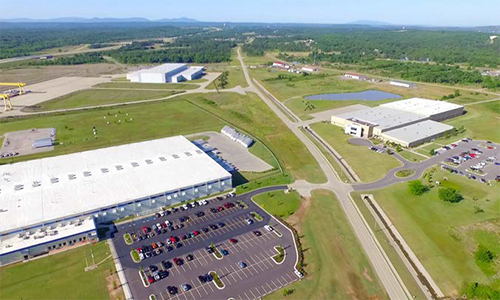 Although they lack the presence of national firms, they are more than equipped with a recently certified 1800-acre industrial park. The industrial park offers a diverse site that can accommodate not only manufacturing but also warehousing and distribution as well. Southland Gaming and Racing offers entertainment options including dining, greyhound racing, and several gaming options including a poker room and gaming machines. The casino recently announced a 250-million-dollar expansion that will directly spur growth including tourism and other entertainment options. And of course, downtown Memphis, less than a 15-minute drive, offers endless entertainment options including professional sports, luxury hotels, fine dining, museums, and live entertainment.